That’s just one of the questions plaguing Dulcie Schwartz. A grad student at Harvard, Dulcie lives for research. Her discipline — the Gothic English novel of the late 18th Century — may seem minor to some. But for Dulcie, it’s reason to dive into the library, into the ordered, reasoned world of books. 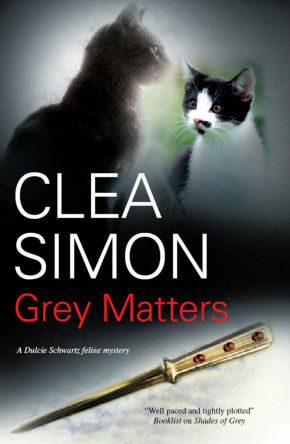 At least, until her roommate is murdered, her mother starts calling with some strange psychic dreams. 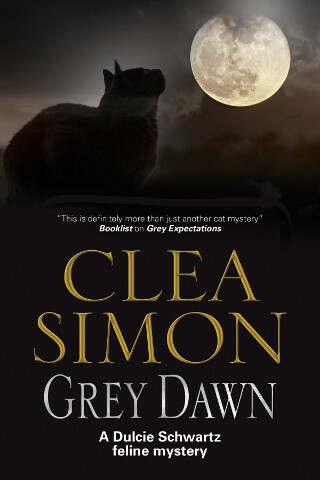 And the ghost of her late, great cat Mr. Grey appears to help her through it all … or over the edge. 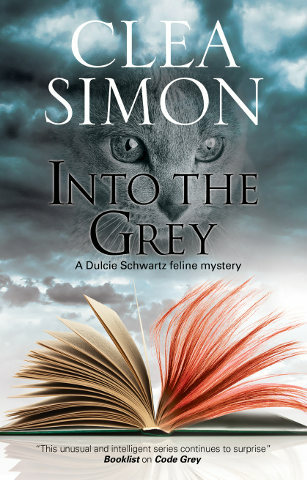 Twentysomething Dulcie Schwartz is a doctoral student at Harvard, struggling to find a thesis topic, mourning her recently deceased cat Mr. Grey, and working a summer temp job. Then, one afternoon, she thinks she sees Mr. Grey and believes he warns her not to go home. When she enters her apartment, she finds her despised subletter dead with her knife in his chest. 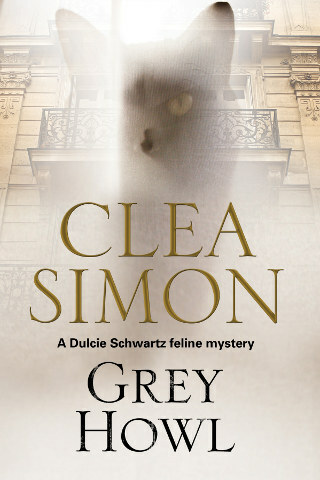 Mr. Grey, Dulcie's mother informs her, is her spirit guide; that's fortunate because Dulcie could certainly use extraterrestrial help, seeing as she finds herself suspected of both murder and hacking into her computer system at work. 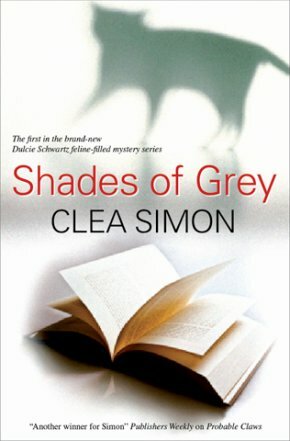 Well paced and tightly plotted, Shades of Grey debuts a promising series. You're without a definitive idea for a thesis, you've had to have your beloved cat put down, you're working temporarily in a corporate snakepit, you've discovered your temporary roommate's murdered body -- and you're suspected of killing him. 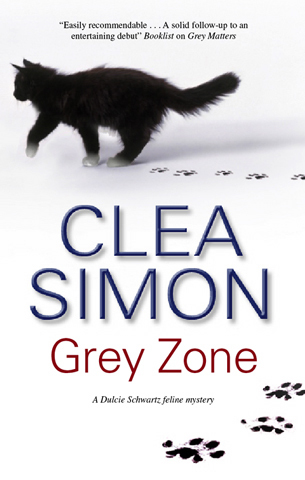 Grad students' lives aren't generally this complicated, but Clea Simon makes it all work in Shades of Grey (216 pages, Severn House, $28.95), the first in her projected series featuring Dulcie Schwartz. 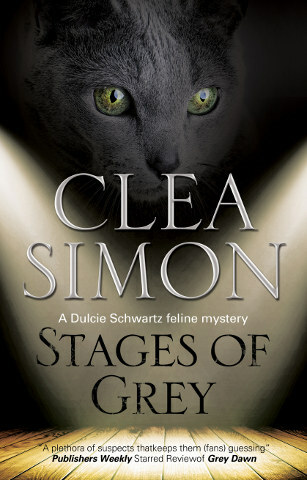 The author of four books featuring Cambridge, Mass., rock journalist Theda Krakow, Simon steps boldly onto a new path with Harvard student Dulcie. And though this is a fine whodunit, it's not just another mystery. 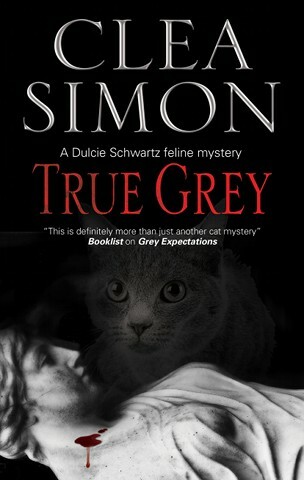 Simon gives it a hint of the supernatural -- Dulcie thinks the spirit of her late cat, Mr. Grey, is trying to warn and protect her -- as well as subplots involving hacked computers and Gothic novels. 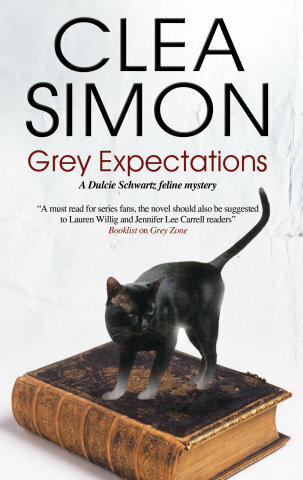 Dulcie's an intriguing and sympathetic lead character, Simon's plot is well-conceived and the feline angle satisfies without being overplayed. 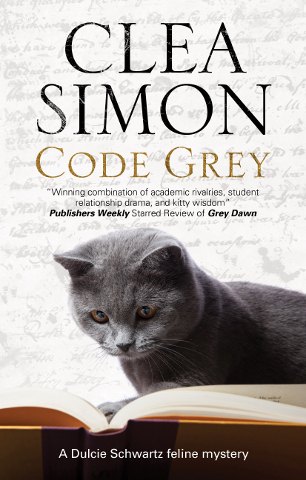 And "Shades of Grey" reminds us that our pets are never gone from our hearts. Give this one a blue ribbon.